Here at Cremation Society of America, one of the questions most often asked of us is how to order a Death Certificate and why is it required for Direct Cremation. 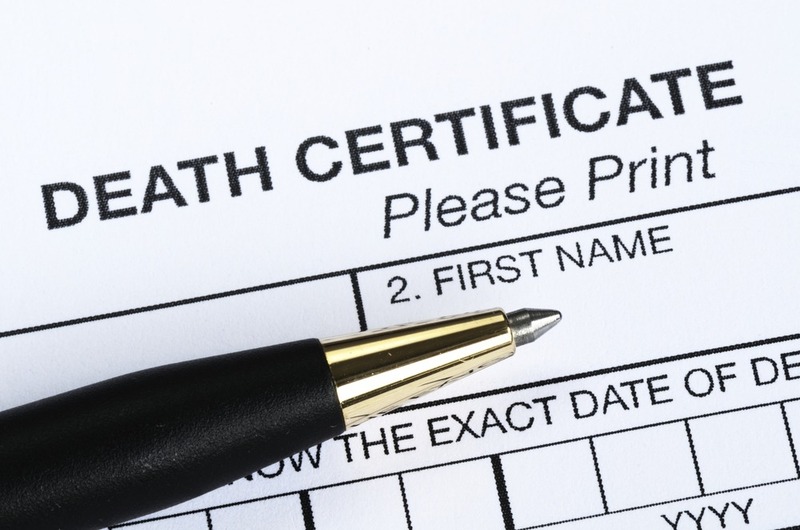 A Death Certificate is an official document that serves as certified proof that someone has passed away. This document will be necessary for families or loved ones to close accounts, access insurance benefits and take similar legal steps. Death Certificates are also used by governmental agencies to track demographic trends locally and nationwide. How many Death Certificates do I need? A family or loved one will need a certified copy of a Death Certificate to close any financial services account or claim any benefit such as insurance proceeds after a loved one passes away. Some companies will require an original to access benefits such as pensions, insurance proceeds or property transfer. Other companies or entities may only require a photocopy/image of the Death Certificate to serve as proof. A good rule of thumb is to expect an original Death Certificate will be require to settle legal issues and a copy may be sufficient to resolve other matters. The number of death certificates a family needs will depend on the number of assets, benefits and accounts that have been left to them. We recommend that you contact each of the companies/entities involved to confirm whether the company/entity will accept only an original death certificate or a copy of the death certificate. How long can I expect to wait to receive a Death Certificate? 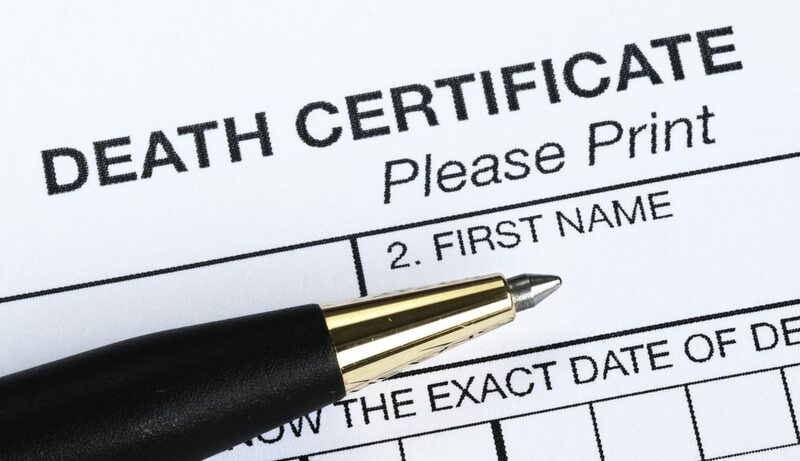 There can be as many as four parties/entities/agencies involved in processing the first Death Certificate, which means that the time it takes to receive the Certificate may vary. You can expect a state agency to take 3 -6 weeks while a county agency may only take 2-4 weeks. The family and funeral home/Cremation provider typically provide their respective information within a day and don’t delay the process. If any delays are encountered, it’s usually with the physicians or the applicable county/jurisdiction. We at Cremation Society of America do everything in our power to make the Death Certificate process as efficient as possible so that you and your family can address the matters at hand. Call us today to request more information about our Direct Cremations or click here to order your Direct Cremation now using our industry-leading online ordering process.